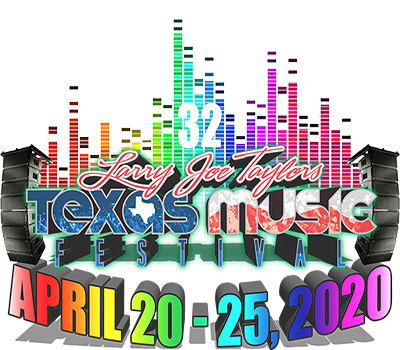 The Texas Music Festival facility reserves the right to refuse admission or eject any person without refund who is violating the facility, local, state, or federal laws or whose conduct is deemed illegal, disorderly, or offensive by management. NO cruising or riding around in the back of open vehicles within the festival grounds - will be enforced by law enforcement. NO radio frequency/remote controlled devices and/or drones allowed! NO glass bottles or containers of any kind. All articles are subject to search. Any armband that has been removed for whatever reason (work, school, arrest, etc.) must be purchased again to gain admission into the festival grounds. NO tossing or throwing of any items or disorderly conduct that could result in the injury or damage to participants, spectators, equipment, etc. Violators will be prosecuted to the fullest extent allowed by law and will immediately removed from festival grounds. Tickets obtained from sources other than Texas Music Festival, may be lost, stolen or counterfeit, and in such cases, will not be honored. It is unlawful to obtain or attempt to obtain admission by fraud. All such admissions or attempted admissions will be prosecuted to the fullest extent allowed by law. Every campsite must be kept clean - any campsite found to be left unclean will result in a $30 charge applied to the purchaser's credit card. It is the original purchasers responsibility to make sure campsites have been picked up and cleaned upon leaving the festival grounds. No household furniture or large items may be left behind. Please have all trash bagged and ready for pick up upon leaving the festival grounds. NO weapons of any kind. All articles are subject to search. NO soliciting on site - includes food, beverage, merchandise or entertainment, or any other items. NO unleashed pets of any kind. NO horses, ponies, mules, donkeys, or similar animals of any kind allowed on festival grounds. NO golf carts, dirt bikes, three wheelers, four wheelers, go-carts, or any other all terrain vehicle on festival grounds. NO amplified sound systems at camp sites except during chili showmanship Saturday 10:30 am - 12:30 pm. NO digging holes for campfires or cutting down trees or brush. NO small children left unattended - due to the natural habitat of the grounds, parents should accompany small children at all times. NO unacceptable behavior - actions and/or behavior that interferes with fellow patrons enjoyment of festival or illegal actions. NO driving above speed limit - speed limit is 10 MPH. NO overnight camping in front of gate - must arrive when gates open. NO parking outside of festival grounds - everyone must park within the festival grounds. NO obscene signs, banners, or slogans - this includes any and all alcohol related products or items.